We recently had the opportunity to interview the author of The Driver series of books, Robert Turner. He talked to us about the books and even gave us some hints about what to expect in the next edition. If you haven’t read The Driver books yet, they are a must read for any automotive enthusiast and are even enjoyed by those that weren’t car guys. If you like racing and movies like Transporter then you’ll love these books. The story keeps you entertained, but adds a lot of technical details about the cars which just adds to the appeal. Click past the jump (or scroll down if you came to the full article) to see what Robert had to say about his book and the future. Most of us know that racing drivers need to get a lot of time behind the wheel to make sure their driving skills are the best. However, most of us probably haven’t thought about all of the physical preparation that goes on when a driver isn’t driving. For a race there is a lot of physical and mental preparation that happens outside of the car. The above video shows how a racing driver needs to train physically out side of the car. The video shows how drivers work to get race fit so that they can compete at the top of their game. The video also has some great footage of Porsche race cars as well as open wheeled racers and racing motorcycles. Porsche Works Drivers are usually focused on one thing, winning. When racing the driver is always going forward trying to get ahead of the cars in their way. If you’ve ever watched a race you’ll notice that when the car is moving backward it is being pushed by the crew. Well, in the above video Porsche answers the question as to why race car drivers have to be pushed to have their cars move backward. 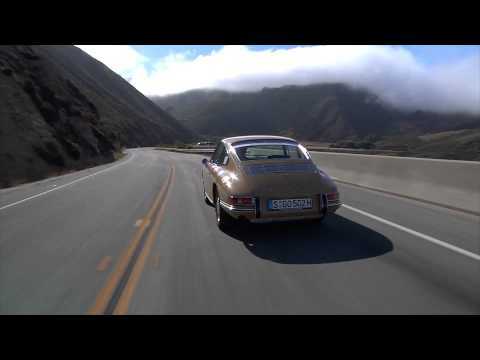 Watch as Porsche Works Driver Marc Leib tries to parallel park a Porsche 911. The video shows just how focused on going forward a racing driver has to be.